Timberland’s Earthkeepers 2.0 may have been made for walking, but they’re also designed to be taken apart for recycling when their pavement-pounding days are numbered. This summer, the outdoors outfitter veers away from its signature boot to debut three warm-weather silhouettes: a boat shoe and a Venetian-style loafer for men, along with a sandal flat for women. Because the Earthkeepers 2.0 collection was engineered with disassembly in mind, approximately 70 to 90 percent of the materials that make up each shoe can be reused or recycled, including the detachable metal hardware. 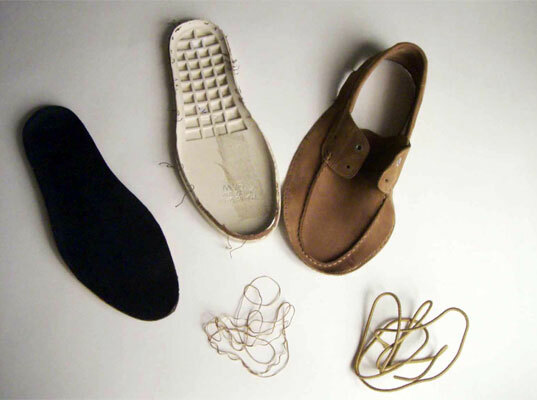 Approximately 70 to 90 percent of the materials that make up each shoe can be reused or recycled. Even the leather uppers, straps, and footbeds, which Timberland sources from an environmentally preferable (though far from ideal) Leather Working Group Silver-rated tannery, can be reincarnated into new footwear. Plus, they’re all shod with detachable—and recyclable—Green Rubber outsoles, nearly half of which comprises recycled rubber tires. Not only is leather the opposite of "eco", but is the SINGLE LARGEST CAUSE of global warming. Livestock products, no matter how they've been greenwashed, can never be eco. There are plenty of leather alternatives made from recycled TVs, recycled soda bottles, and others that are plant-based. Even synthetics are less harmful than "vegetable tanned" leather. That term is so misleading! Timberland's Earthkeepers 2.0 may have been made for walking, but they're also designed to be taken apart for recycling when their pavement-pounding days are numbered. 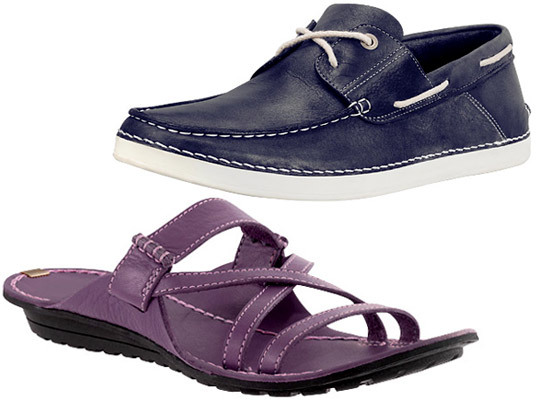 This summer, the outdoors outfitter veers away from its signature boot to debut three warm-weather silhouettes: a boat shoe and a Venetian-style loafer for men, along with a sandal flat for women.